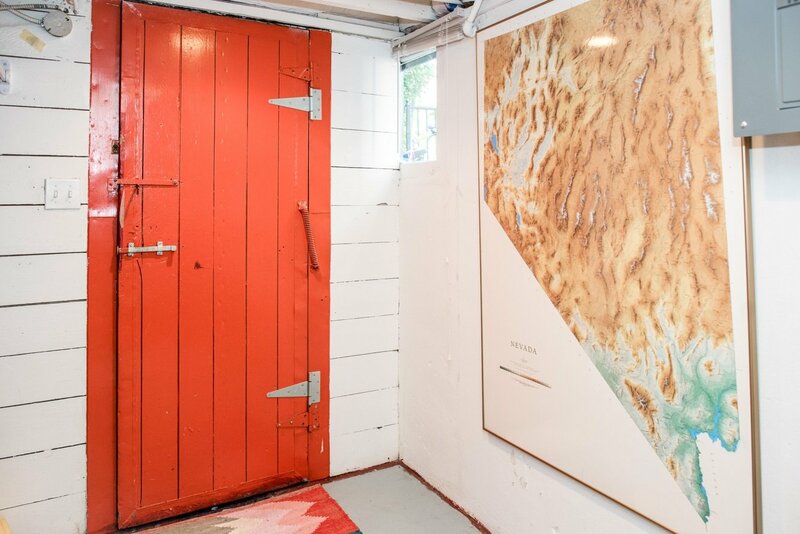 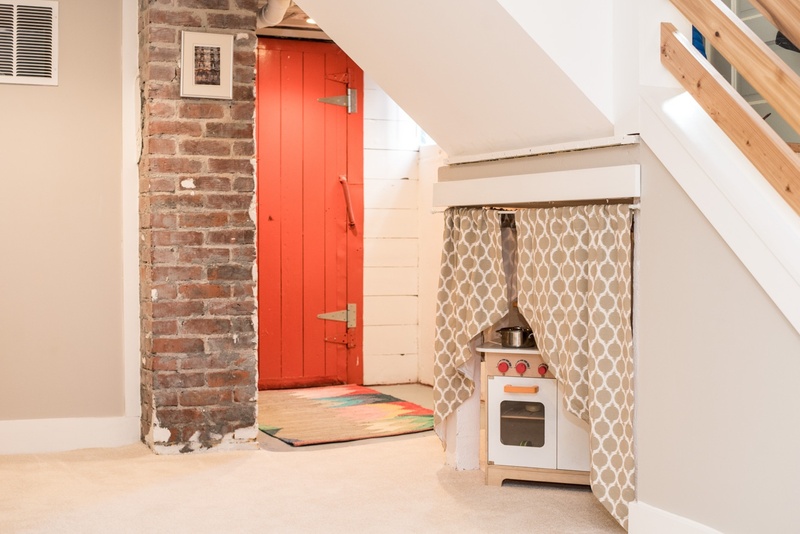 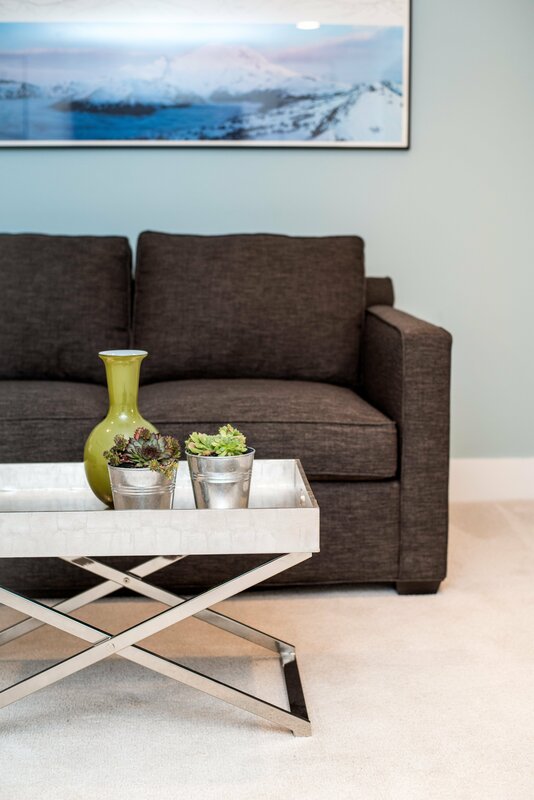 Who says basements have to be boring? 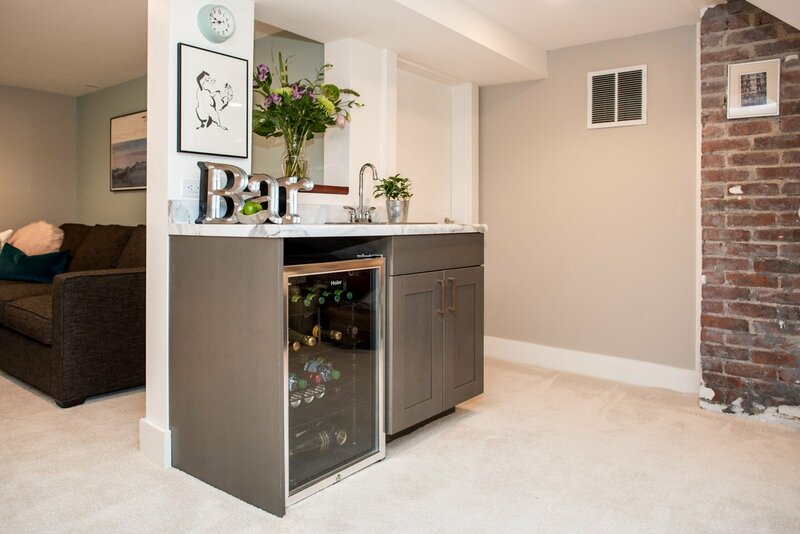 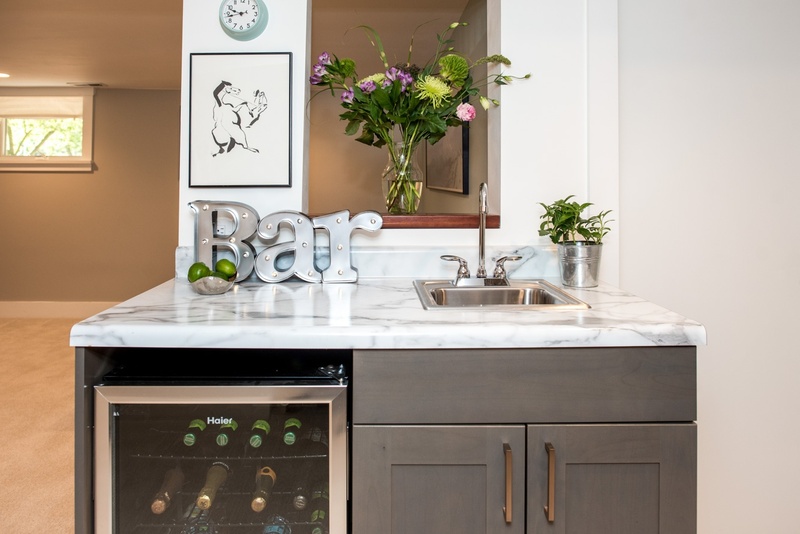 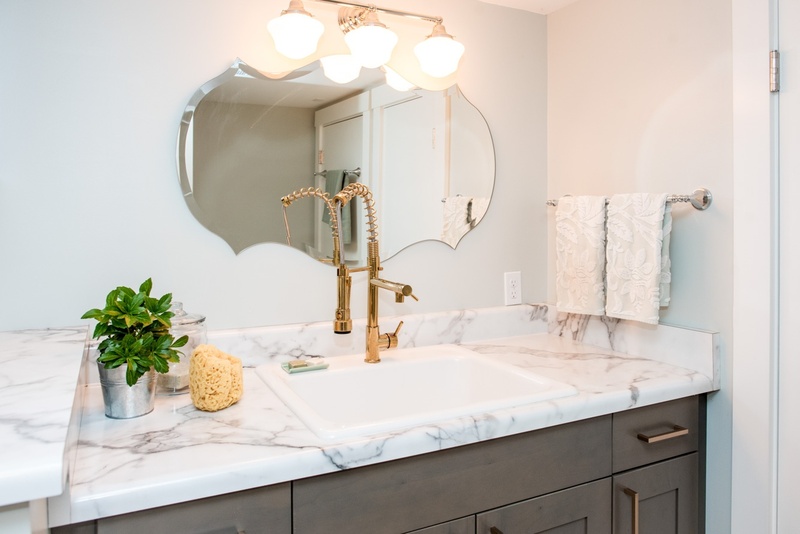 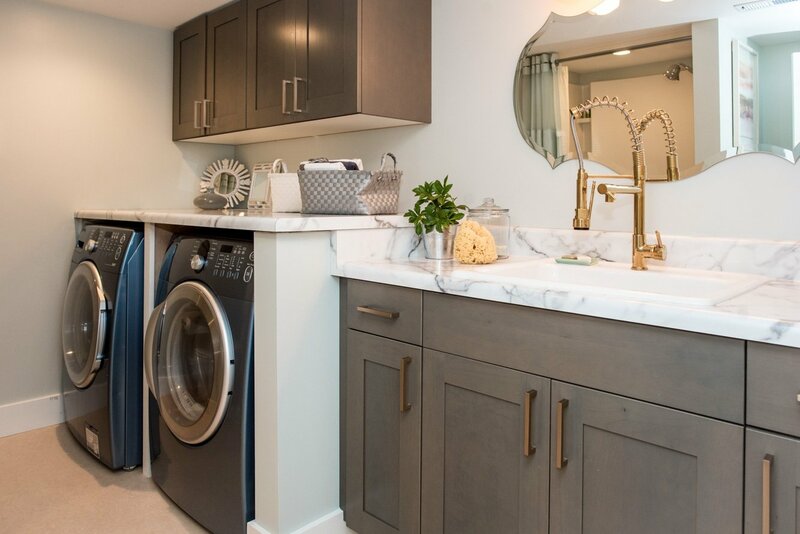 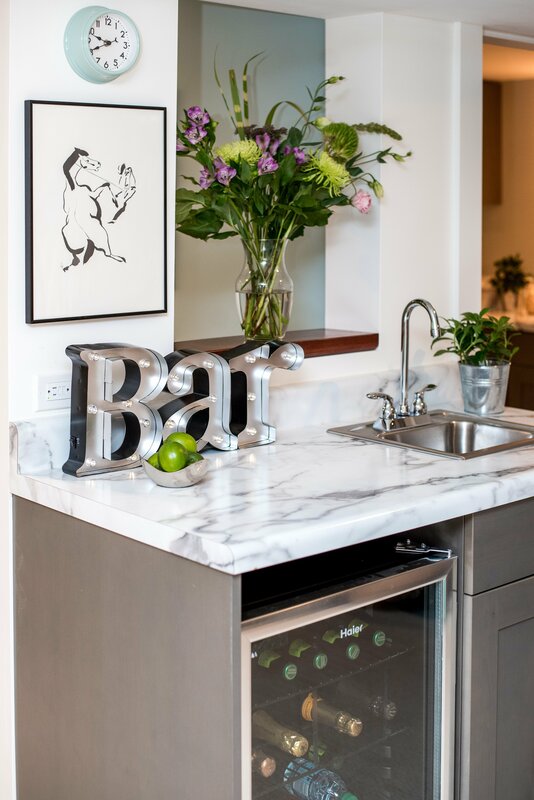 With its mixed-metal fixtures, adorable wet bar, and bold pops of color, this basement is a cheerful retreat the whole family can enjoy. 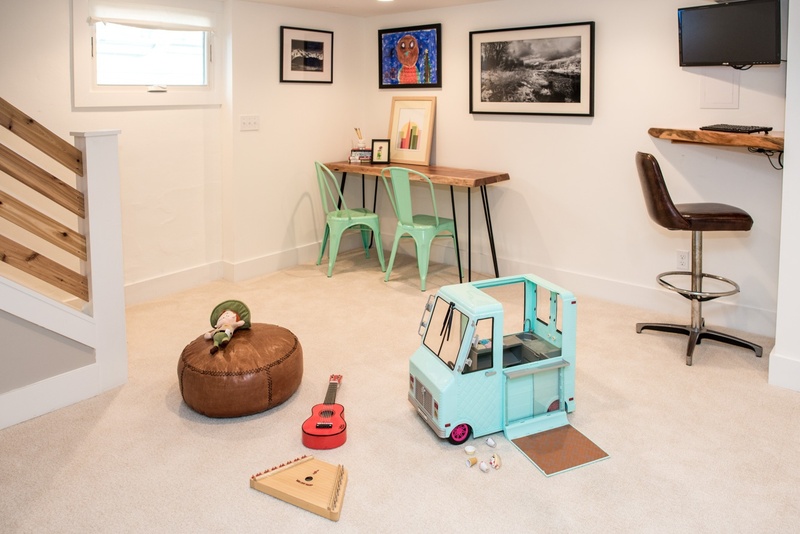 A well-integrated standing desk allows for some work to get done without getting in the way of the fun. 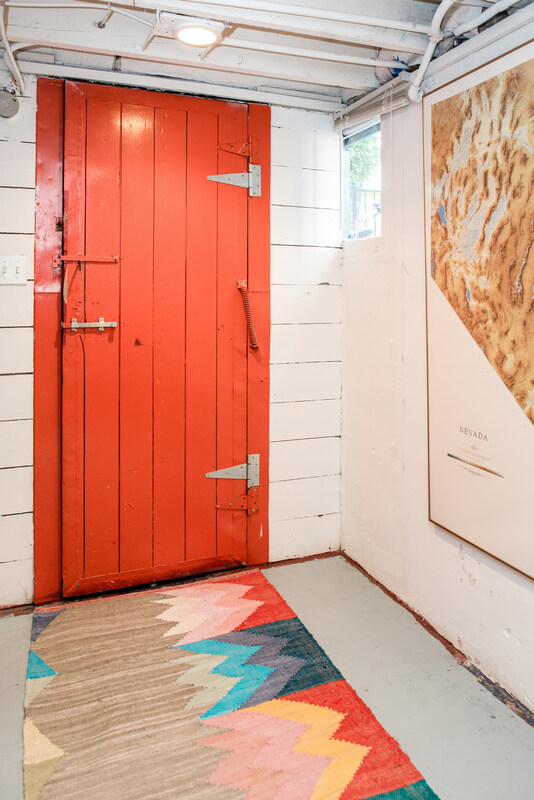 Some rough-around-the-edges original features, like the exposed brick and a rugged wooden door, were retained for contrast and character. 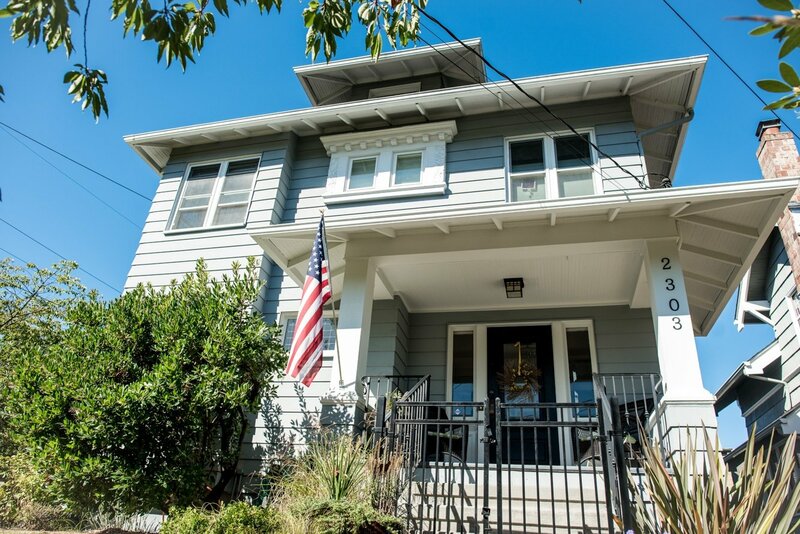 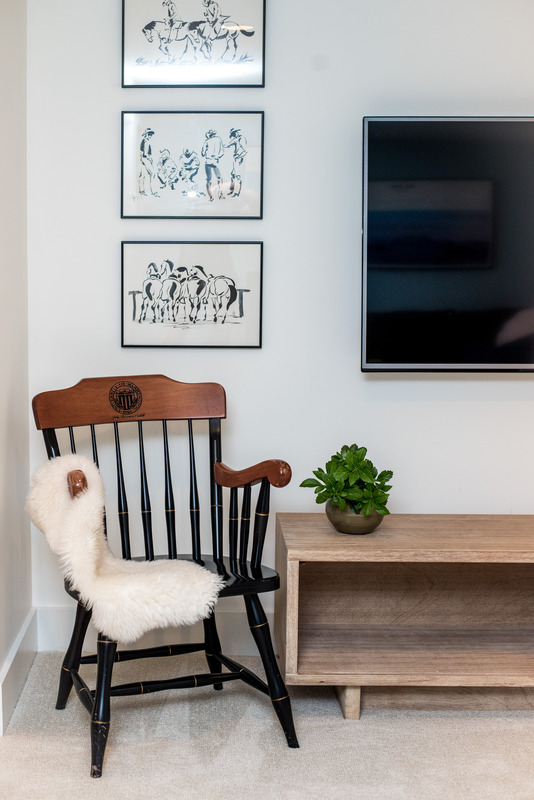 It's a bright and playful space that has become a well-loved hub of this stately Queen Anne home. 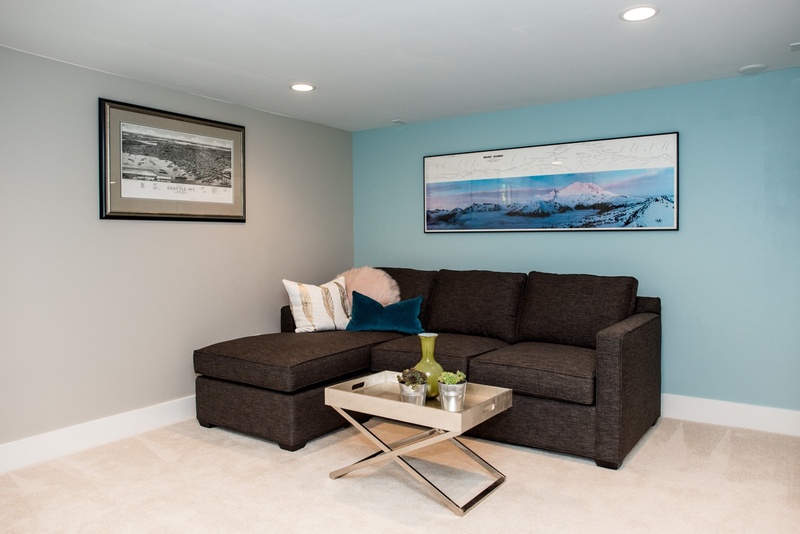 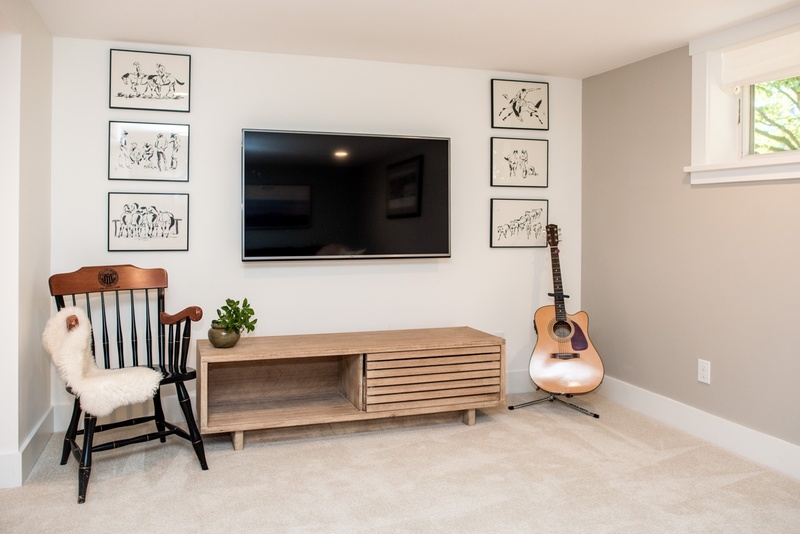 Ready to start a basement remodel?